Basquiat died of a heroin overdose. 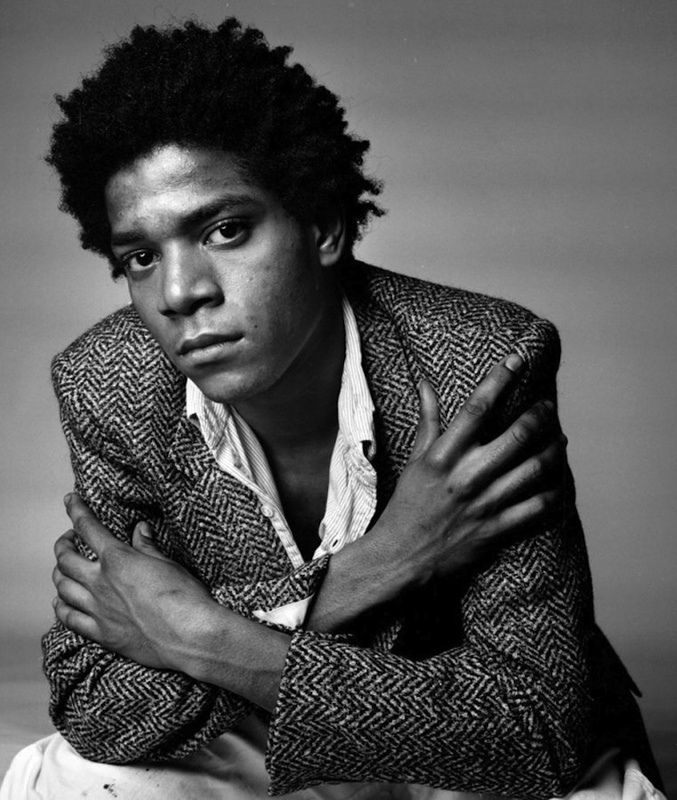 By age 11, Jean Michel Basquiat was tri-lingual in French, Spanish, and English. His mother was committed to a mental institution when he was a teen and his dad kicked him out of the house at the age of 22. So Basquiat lived on the street, sleeping on park benches, and painting on discarded windows, garbage cans, doors and other New York debris. But he quickly went from begging people to buy his works to selling them in the top international galleries throughout the world. Once people cottoned on to his talent, Basquiat graffiti murals from his homeless days were often removed from the streets with hammers and large power tools by opportunistic collectors. He was like the original Banksy in that regard. Basquiat often depicted African-American and Hispanic athletes in his work and juxtaposed text and imagery. The biopic "Basquiat," directed by his long-term competitor painter Julian Schnabel, premiered at the 1996 Sundance Film Festival. Choice scenes include the artist painting on a tabletop in chocolate syrup. Jean-Michel loved painting in his expensive Armani suits that he often wore out in public afterwards, adorned with paint splatters. He was close to Andy Warhol and when Warhol passed away Basquiat went into a downward spiral that ended with a fatal heroin overdose in his art studio. Like Amy Winehouse, Janis Joplin, Kurt Cobain, and Jimmy Hendrix, he died at age 27. Jean-Michel Basquiat (French: [ʒɑ̃ miʃɛl baskija]; December 22, 1960 – August 12, 1988) was an important American artist of Haitian and Puerto Rican descent. Basquiat first achieved fame as part of SAMO, an informal graffiti duo who wrote enigmatic epigrams in the cultural hotbed of the Lower East Side of Manhattan during the late 1970s, where hip hop, punk, and street art cultures coalesced. By the 1980s, his neo-expressionist paintings were being exhibited in galleries and museums internationally. The Whitney Museum of American Art held a retrospective of his art in 1992. Basquiat used social commentary in his paintings as a "springboard to deeper truths about the individual", as well as attacks on power structures and systems of racism, while his poetics were acutely political and direct in their criticism of colonialism and support for class struggle. He died of a heroin overdose at his art studio at the age of 27. On May 18, 2017, at a Sotheby's auction, a 1982 painting by Basquiat depicting a black skull with red and black rivulets (Untitled) set a new record high for any American artist at auction, selling for $110.5 million. Basquiat's art has inspired many in the hip hop music community such as Jay-Z. Check out the full Wikipedia article about Jean-Michel Basquiat.